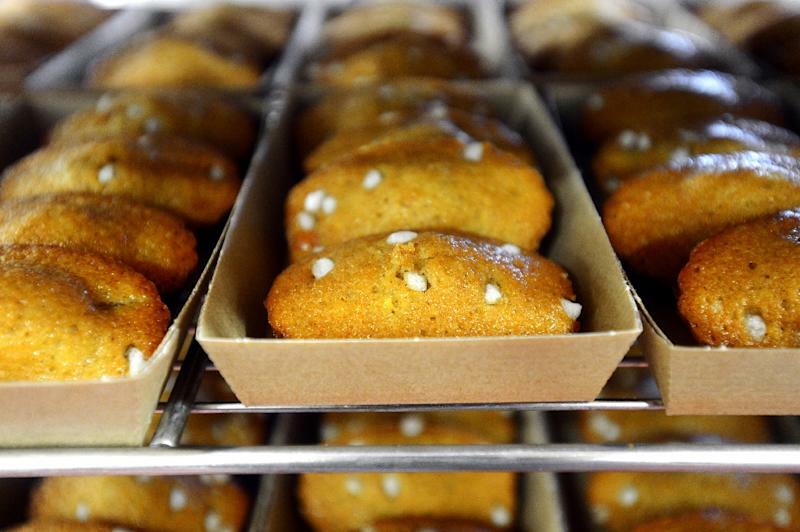 Paris (AFP) - The "madeleines" -- little French sponge cakes -- that writer Marcel Proust made famous in his book "In Search of Lost Time" might actually first have been toasted bread, according to uncovered manuscripts published in France on Thursday. A first draft of Proust's huge novel dating from 1907 had the author reminiscing not about madeleines -- a sensory trigger for a childhood memory about his aunt -- but about toasted bread mixed with honey. A second draft, the manuscripts showed, had the evocative edible as a biscotto, a hard biscuit. It was only in the third draft that Proust wrote that he had bitten into a soft little madeleine. A Paris publishing house, Saint-Peres, showed the shifting food reference in three handwritten manuscripts by Proust that it will print into a special three-part notebook set for retail. The madeleine anecdote is considered one of the key passages in "In Search of Lost Time" (known as "A la recherche du temps perdu" in French) and underlines the work's major theme of involuntary memory, in which an experience such as an aroma or a taste unexpectedly unlocks a past recollection. Proust is considered one of France's most influential authors of the 20th century and the French today still use the expression "Proust's madeleine" to refer to a sensory cue that triggers a memory. "These three never-before-seen notebooks allow one to retrace the literary genealogy of the most emblematic moment of the Proustian universe," the Saint-Peres company said in a statement.